Slice EQ works with their excellent Snapin hosts. Check out Snap Heap for instance. Check out the free Snap Heap, and purchasable Multipass for instance. 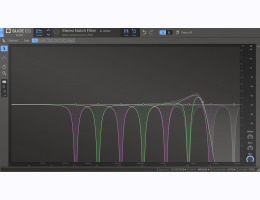 You may download a 30 day trial demo from the Slice EQ product page by clicking on the 'try it for free' button.